Small Business Banking is the best example of what we refer to as Community Banking. 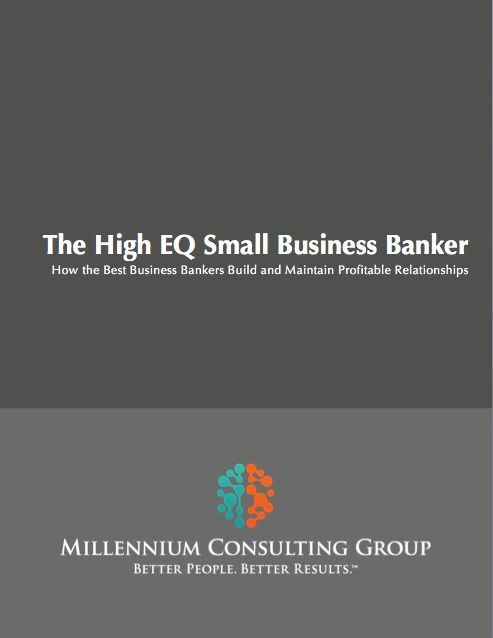 Often thought of as the best known bankers in town, High EQ Small Business Bankers have the ability to create, connect with and win over a complex network of relationships including entrepreneurs, community leaders, COI, branch partners, internal leaders, credit and support professionals. It is this ability to connect -- and their mastery of the people side the business -- that helps them to create and win more business than their lower EQ competitors and colleagues. Our High EQ Small Business Banker workshop is designed to immediately and positively impact participant EQ levels by working with them to understand and develop the personal development and relationship development mindsets and skill sets of the most successful bankers in the industry. This fast paced, highly practical and highly interactive program takes the EQ discussion beyond general theory by delivering industry specific functional best-practices that will challenge participants to elevate the quality of their personal growth and relationship development efforts.